“I am having a relationship with this pizza, almost an affair” – although the words of Elizabeth Gilbert from the novel Eat, Pray, Love they could almost be my own. On trips to Italy I’ve been known to happily devour a whole pizza day after day; thoughts of pasta and secondi barely crossing my mind. There’s something about lovingly prepared pizza dough combined with fresh Italian ingredients that takes me to a very happy place. So, on a recent trip to Melbourne a pizza feast at Gradi was a top priority. I’d first tried their award-winning pizza a year earlier at 400 Gradi in East Brunswick, so my expectations for the newer Gradi restaurant were high. When an Australian pizza maker, a ‘pizzaiolo’, took top honours in a major Italian competition pizza lovers across the country took notice. This is what happened to Johnny Di Francesco. His Margherita was judged the best pizza in the world against 600 competitors from 35 countries in Italy. And suddenly the pizza oven at 400 Gradi could barely keep up with demand. 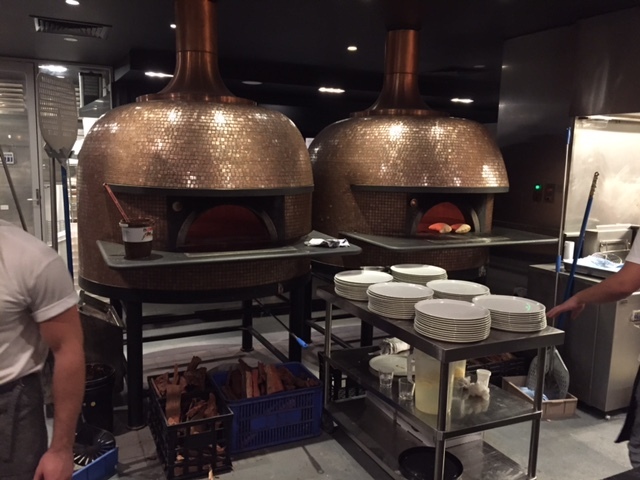 This success saw the opening of Gradi on Southbank in the Crown Entertainment Complex – with not one but two jaw dropping Italian wood fired pizza ovens. 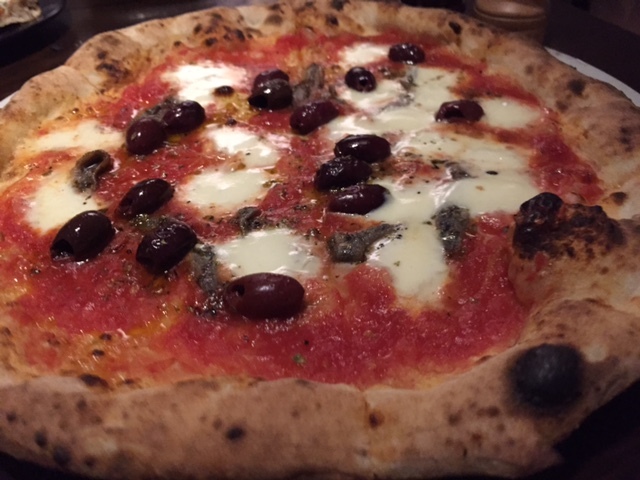 the pizza oven is heated to 400 degrees – hence ‘400 Gradi’. The resulting pizza has a soft base, with a puffed and flavour packed edge. The texture is chewy and the dough airy and light. 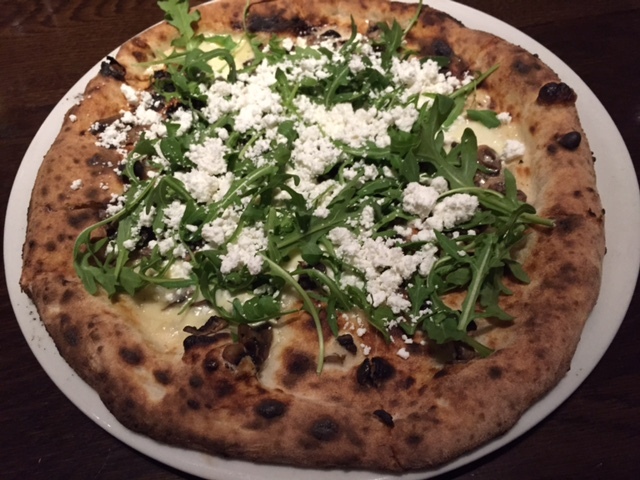 The Gradi pizza menu features well over 10 pizzas – priced between $18.50 and $29. We opted for one white base and one tomato base paired with a rocket salad. 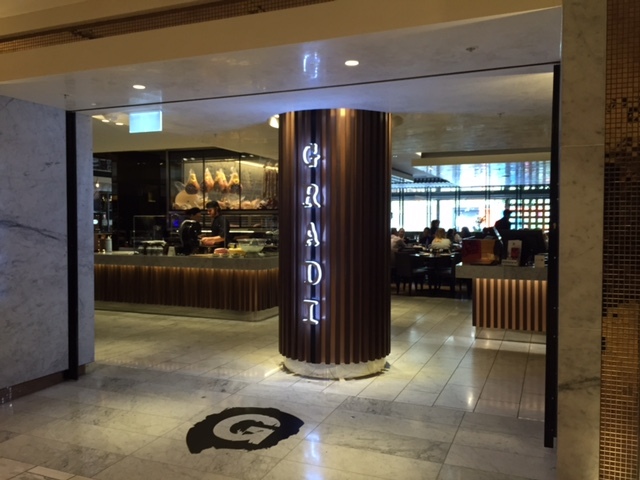 Of course there’s plenty on the Gradi menu for non-pizza lovers too – including pasta, risotto and secondi dishes like mussels and braised beef. Even the pre main course menu is extensive – choose from a selection of cured meats or cheeses served in 30g or 70g portions with Sardinian bread. Or nibble your way through the antipasti menu with lovingly familiar dishes such as arancini, calamari fritti and vitello tonnato. As a pizza fan there’s nothing worse for me than having to share one pizza. In Italy there’s no shared pizza in the middle of the table, nor doggy bags for cold leftover slices. If I’m going to truly enjoy pizza then that means a whole pizza to myself – just as the Italians do. 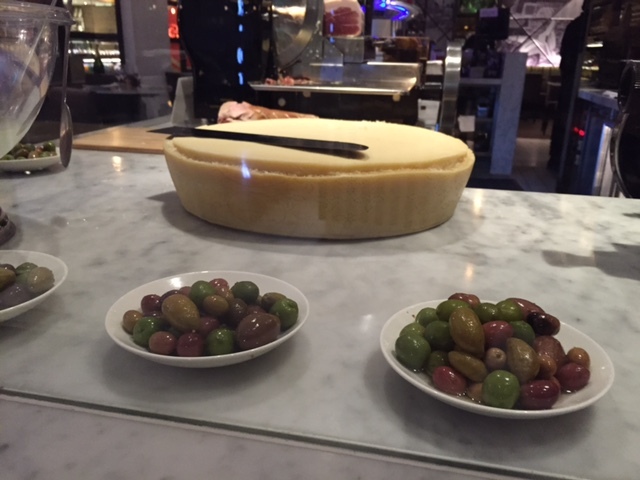 Looking around Gradi I was pleased to see the one pizza rule seemed to prevail – with couples and groups each sat happily working slice by slice through their chosen pizza. So my verdict on Gradi? Of course it’s pizza heaven. 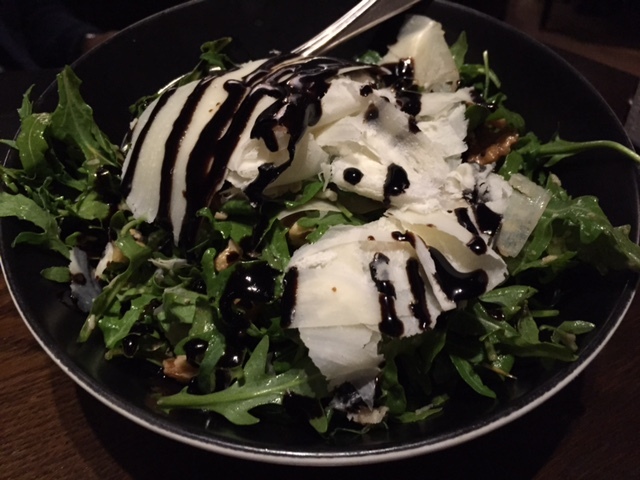 Tags: crown, Gradi, Melbourne, menu, pizza, review, Southbank. Bookmark the permalink. Previous post ← Pork with perfect crackling – for Feast Wisely’s 2nd birthday! Thanks Linda – yes it’s the best pizza, I could happily eat it every weekend…. How do you rate compared to the original? 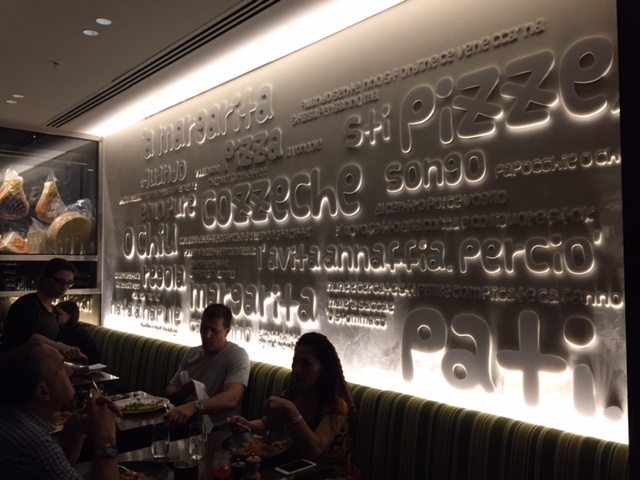 Hi – just as good pizza but a different atmosphere….you should try it!